In addition to the 125 residential units, which are primarily a mix of (59) studios and (50) two-bedrooms, the refined plans for the Balboa Park development, which is designed to wrap around the existing Midas shop on the corner of Ocean and Alemany, include 7,750 square feet of commercial space fronting Ocean Avenue, an underground garage for 132 cars and 134 bikes with its entrance on Cayuga and a 10,000-square-foot interior courtyard for residents. 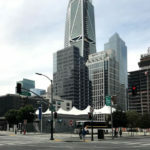 And as we first reported last year, the development team still isn’t planning to invoke the State Density Bonus Law to build above the 45-foot height limit for which the 65 Ocean Avenue parcel is effectively zoned but 20 percent of the units are expected to be offered at below market rates. What would be the reason not to invoke the density bonus? To avoid increased neighborhood resistance, but if the project is eligible for streamlined planning then there would be no reason not to. Then again, the planning department has been more housing friendly lately so maybe they’ll be the ones to demand it. Looks great! I hope the Midas shop could go too. IMO they should build higher to set a precedent for the Mission – Ocean-Geneva triangle. This are represents the center of the Mission Terrace / Excelsior neighborhoods and it could support much more density. 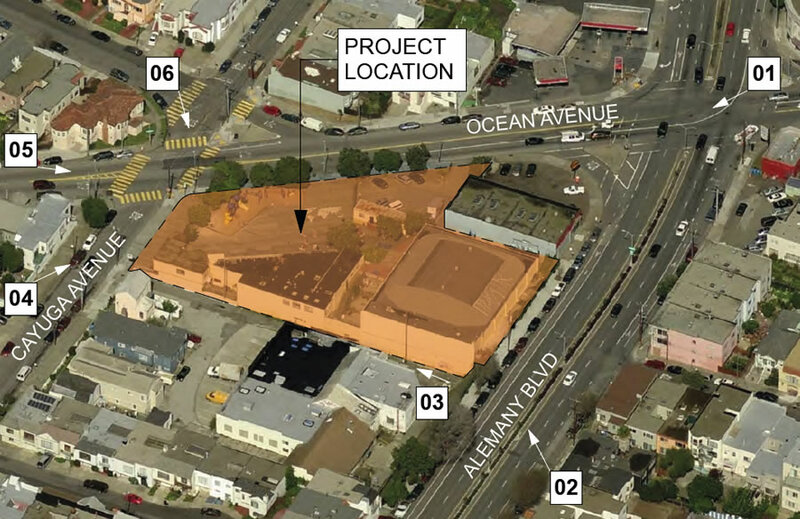 Height would work well for this site, and the building, the design is looking good, and the connection between Ocean Ave and Mission, is becoming more apparent with other adjacent projects, and up near San Jose. With a SFDPW project the area could see some major improved activity.